Alpha & Omega Independent Car Repair is a local, family-operated auto repair shop with over 36 years of experience in providing expert brake services to the Boulder area. 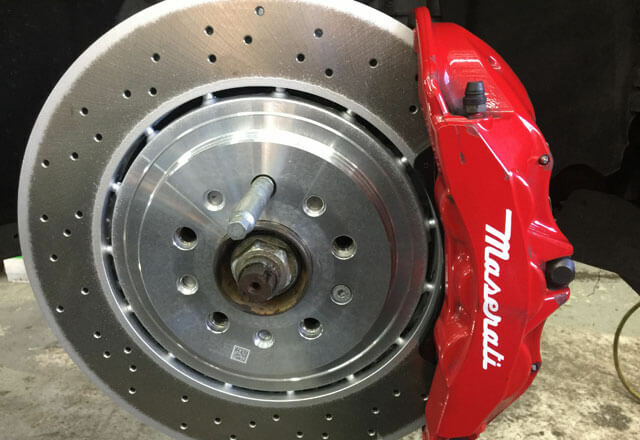 We are fully qualified to perform the full range of brake repair and maintenance services, including brake inspection, brake adjustment, brake pad replacement, brake caliper replacement, rotor resurfacing/machining and replacement, master cylinder replacement, emergency brake repair, anti-lock brake system repair, and brake fluid exchange/flush, for all makes and models of Japanese and European imports. Over the three decades we have been in business, we have serviced over 100,000 vehicles, and earned the trust of thousands of loyal, repeat customers. As part of our dedication to superior service and expert workmanship, we stay up to date on the latest advancement, work with the latest diagnostic tools, and only use high-quality OEM or aftermarket parts. We also have advanced equipment to solve any issues we find in-house, whether that means simply replacing the brake pads, machining the rotors, or fixing a brake fluid leak. If you've noticed strange brake noises, shaking brakes, or a brake pedal that feels “soft” or “spongy” when stopping, bring your vehicle by our Boulder auto shop. Because brakes are a critical component to car safety, we will gladly provide anyone who comes into our shop with a FREE brake check. Anytime repairs are needed, we work closely with our customers to determine the most cost-effective brake repair or replacement solution for their vehicle. Our brake repairs and replacements are backed by an industry-leading 3-year parts and labor warranty. If repairs are not needed, we can help you determine if maintenance is required. For optimal results, we recommend regular brake maintenance every 15,000 miles. When you bring your car in for periodic brake maintenance, we don't just visually inspect your brakes like most other auto shops and car dealerships. Instead, we offer a full clean, lube and adjustment service that can significantly increase the safety and lifetime wear of your entire brake system. Call or stop by our Boulder auto repair shop to speak to one of our friendly and helpful staff, who can provide knowledgeable advice on your brake repair or maintenance needs. We offer convenient appointment scheduling, complimentary shuttle service within Boulder city limits, and after hours drop-off and pick-up services.